Charlotte Cantrell is always the baker; never the bride. When Will, a regular at Charlotte's bakery, catches her attention, she can only hope that he is the reliable man this single mother has always hoped to find. The problem is that he's regularly stopping in to buy cookies for another girl. 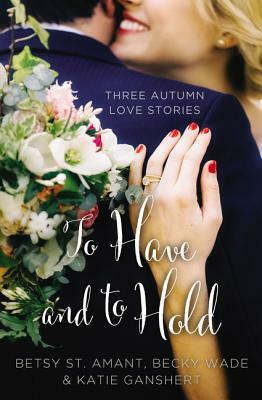 But when Charlotte is hired to bake a host of wedding goodies for a difficult bride and finds out Will is the best man, she has the perfect opportunity to get to know him better--and find out how serious Will is about this other girl in his life. Amelia Woods is a small-town wallflower and the proud owner of Forget-Me-Nots, a quaint flower shop. Her love life has always been a bit lackluster--until she ends up in an embarrassing fender-bender with handsome Nate Gallagher. Meanwhile, Amelia's younger brother, William, has proposed to his girlfriend. Amelia would be excited except she has evidence that the fianc e is not who she says she is. It seems Nate is the only one available for any advice-giving, and he's good at it--and pretty fun to talk to too. As Amelia works to craft the perfect flower arrangements for other people, she begins to wonder if real love is better than the dream. And if it is, will Nate still be interested when he learns who she is? When Josh returns to his hometown of Martinsburg, Texas, to help his best friend get married, he didn't intend to run into church wedding coordinator--and ex-girlfriend--Holly. He can't help but pine after the girl he never got over. Holly broke up with Josh years ago in an attempt to ensure his future success. But she loved him then and still loves him now. As she helps him plan his best friend's wedding, she longs to be with Josh but doesn't feel worthy of his big-time lifestyle when she is more comfortable in her smalltown world. Will Josh and Holly be able to keep things as they are when their true feelings threaten to surface at every turn?